As a business owner, one of your most important assets is undoubtedly your website. In this day and age, the first reference for most people is the world wide web, so an online presence is vital for any company. Because of the myriad of choices available, competition is fierce, so you need to grab and hold visitors’ attention as soon as they land on your site. It’s important to continually keep abreast of current trends so that you can keep your web design vibrant, attractive and relevant. 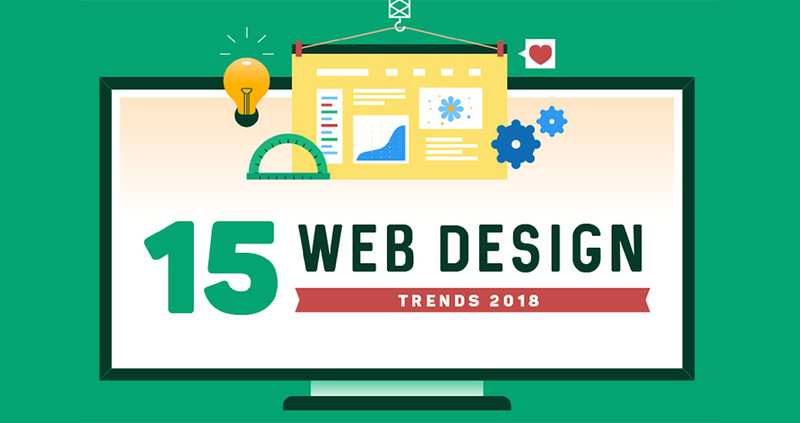 DesignAdvisor has identified 15 Web Design Trends 2018 in their helpful infographic of the same name. We’ve zoomed in on three of the trends which are bound to help you uplift your website and take it to the next level. Data: You need to have the facts available. Visuals: Transform your data into line graphs, or pie charts – whatever makes it easier to visualize the data at a glance. Narrative: This is where the storytelling comes in. Using words and sentences show the insights and opportunities that are embedded in the data, waiting to be revealed and used to benefit you and your readers. If there’s one thing everyone loves almost as much as stories, it’s pictures and illustrations. Illustrations make your site appear more approachable, add a playful touch, and create personality. Depending on the nature of your brand and what kind of industry you are in, illustrations can be custom made by artists and designers to enhance your unique message. Besides static images, moving images or animations are also great options. They can be useful for occupying a visitor’s attention while they wait they wait for a page to load, or while scrolling or navigating throughout the site. Now we come to the question of color. Gradients create a mesmerizing medley of colors that blend into one another seamlessly. No wonder this is a hot trend! Dynamic gradients are especially great for backgrounds and images, but they can be used just about anywhere in your web design including titles, hovers, icons, 3D elements and more. You can experiment with colors and use either duotone or multicolored gradients. Blur and distortion effects are also popular with irregular shapes. With these three trendy and timeless elements – stories, pictures, and colors – you are sure to captivate and delight your readers. Check out the infographic for even more web design insight and inspiration.